A new federal grant will help Detroit expand the historic district around the site of an iconic civil rights battle. That battle took place in 1925, when African-American doctor Ossian Sweet’s family moved into a new home on Garland Street on Detroit’s east side. At the time, it was an all-white neighborhood. A state historic marker outside the Sweet family's former home on Garland Street in Detroit. Soon after the Sweets moved in, a violent white mob descended on the home. Sweet, along with family and friends gathered inside, decided to defend themselves. As the violence intensified, shots from inside the home killed a man on the street outside. Sweet went on trial for murder, where he was famously defended by attorney Clarence Darrow. Darrow ultimately won Sweet’s brother, Henry, an acquittal, and prosecutors ultimately dismissed the charges against Sweet. 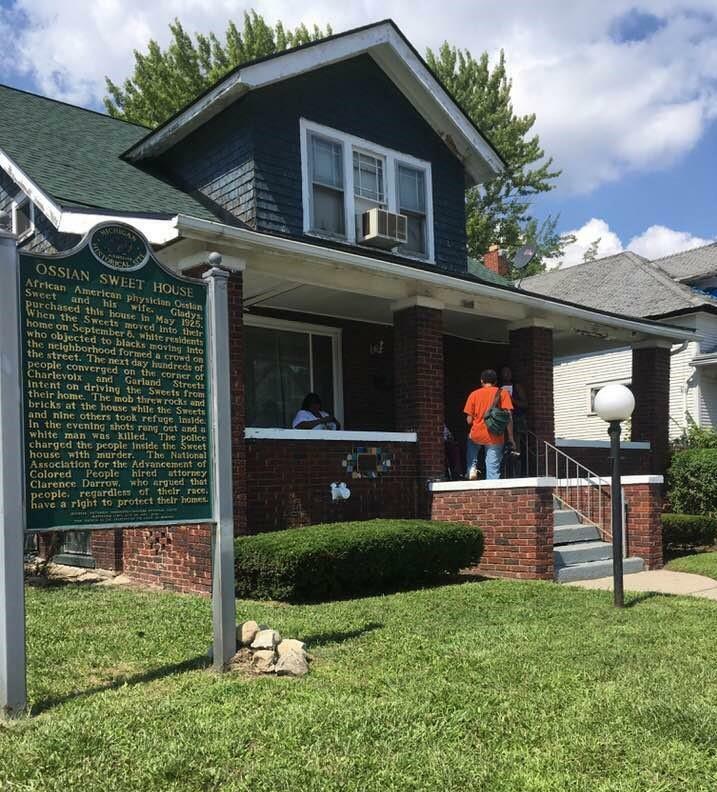 That story — and the larger history of racial violence and housing discrimination it has come to symbolize — will now be commemorated with an expanded historic district surrounding the Sweet home, thanks to a $500,000 grant from the African American Civil Rights program of the Historic Preservation Fund, National Park Service, and Department of the Interior. Monica Baxter grew up and still lives in the Sweet home. She says she welcomes its coming transformation into a living monument to civil rights struggles. Baxter also welcomes the promise of greater neighborhood investment surrounding the project. The neighborhood where the Sweet home is located, known as East Village, is one of the city’s targeted neighborhoods for its $130 million Strategic Neighborhood Fund. A proposed planning framework for the larger area also includes streetscape improvements, new housing and parks, and blight elimination. Stateside's conversations with Mike Wilkinson, a reporter for Bridge Magazine, and Joe T. Darden, an author and professor of geography at Michigan State University. 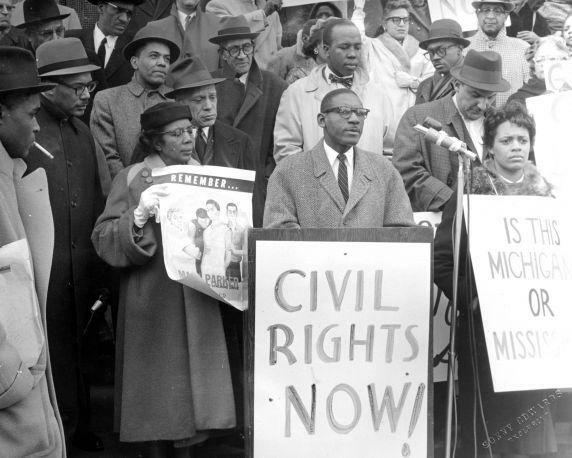 The legacy of discrimination against people of color and discrimination against certain religions is powerfully present in Michigan cities to this day. 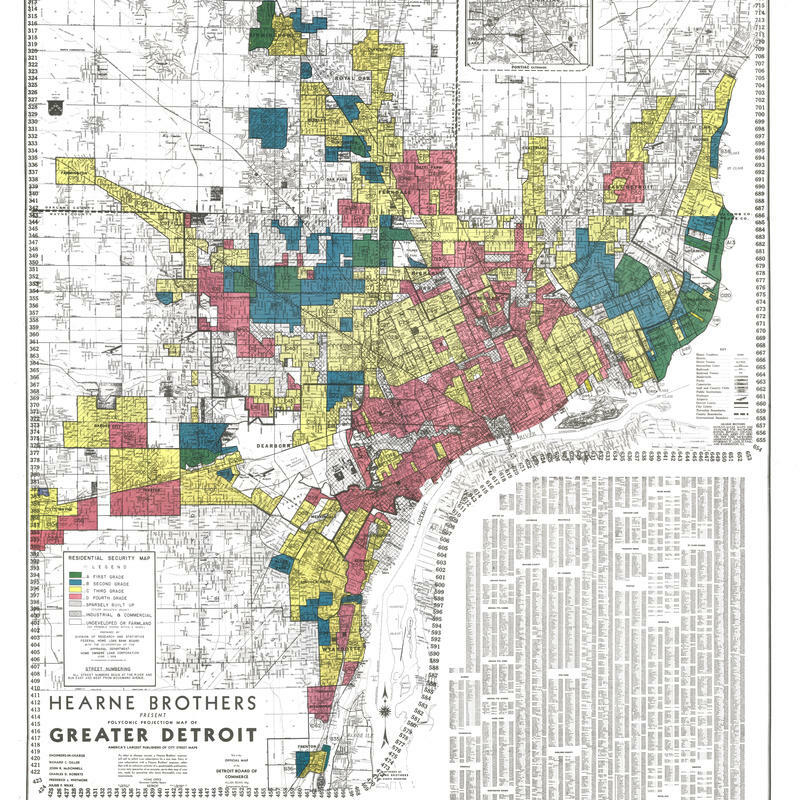 A new data investigation from Bridge Magazine's Mike Wilkinson analyzed a series of housing maps produced by the Home Owners Loan Corporation and later used by the Federal Housing Administration. Wilkinson examined maps of nine cities across the state. Stateside’s conversation with Michael Jackman, senior editor, Detroit Metro Times. On this day 75 ago, the 1943 race riots were coming to an end. Over a three-day period, 34 people were killed in the riots. Nine of them were white and 25 were African-Americans. The event would mark a turning point in the city’s history. Michael Jackman, senior editor of the Detroit Metro Times, joined Stateside’s Lester Graham to discuss this bloody part of Detroit’s history.